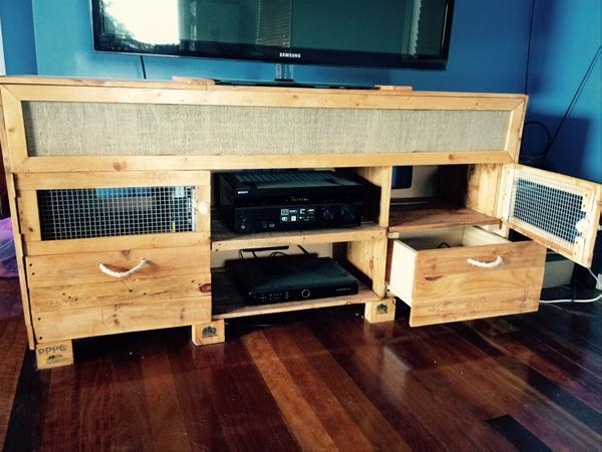 Pallet Furniture adds a bit of vintage fashion sense to your furniture collection. It offers fully customized furniture that suits your need depending upon usage and your fashion sense. 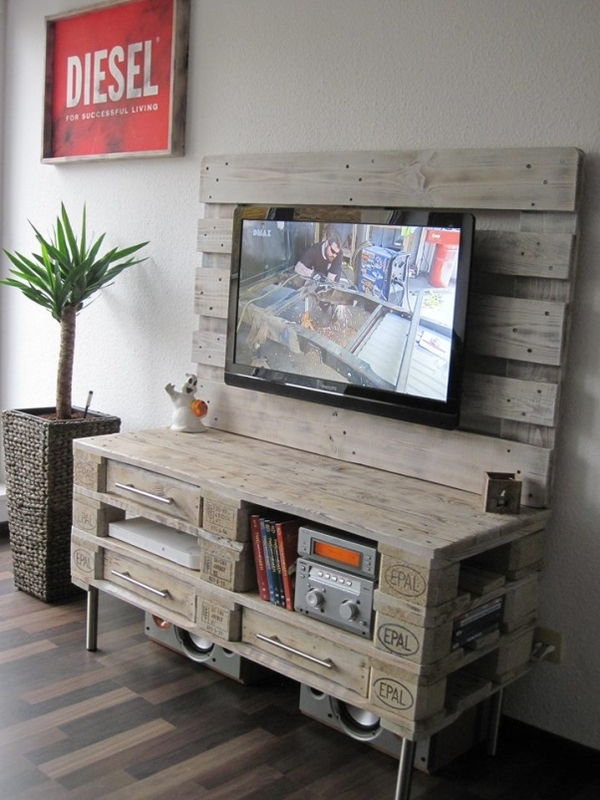 Wooden Pallets are rarely used once after they are thrown for recycling. They are a strong factor to promote safe and useful utilization of waste materials in a drastically changing furniture industry. One can easily get the pallets from local warehouse or recycling centers. 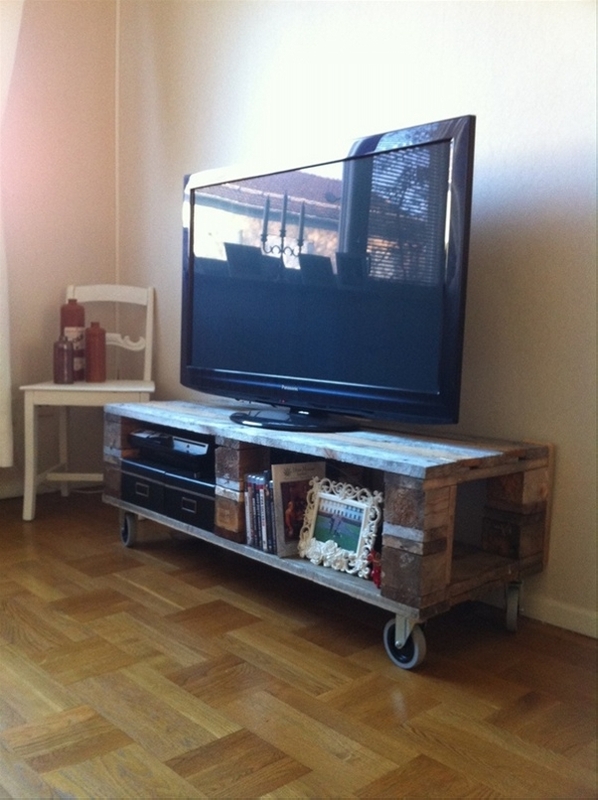 Pallet furniture can greatly improve any living space. All it takes is a little time and elbow grease and you can make yourself an amazing piece that everyone will comment on. Only problem that comes with this is to make sure you are using good quality and non-toxic pallets. 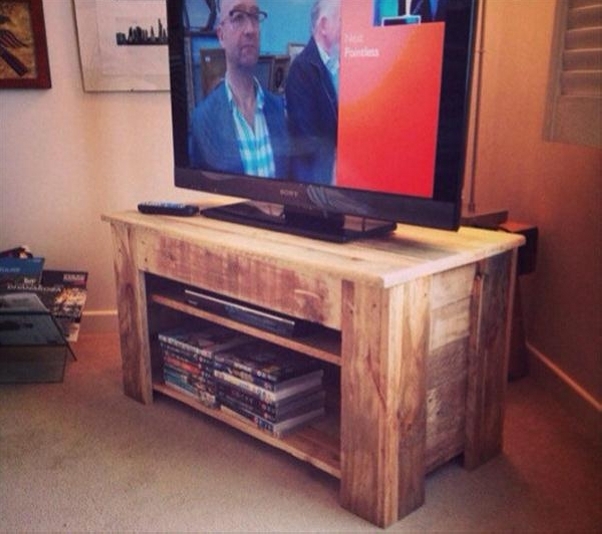 Media Console Tables are widely used across the globe in offices and homes. They take away the major part of your budget when it comes to the purchasing of furniture. Pre-Made and custom furniture’s nowadays cost a fortune to buy. They are expensive, heavy and you can’t change anything with time. 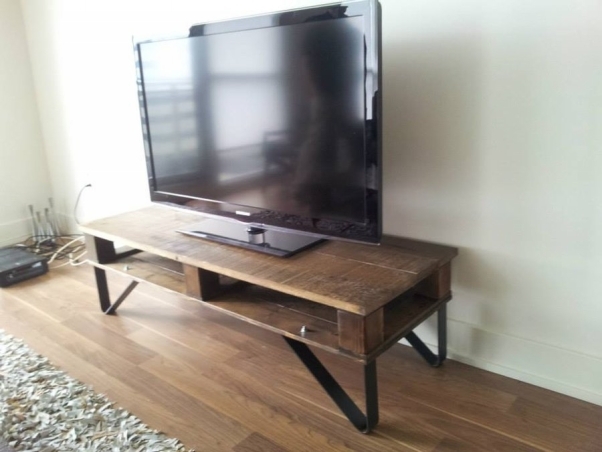 In comparison to other types of Console Tables such DIY pallet table saves you around 400-1000$. 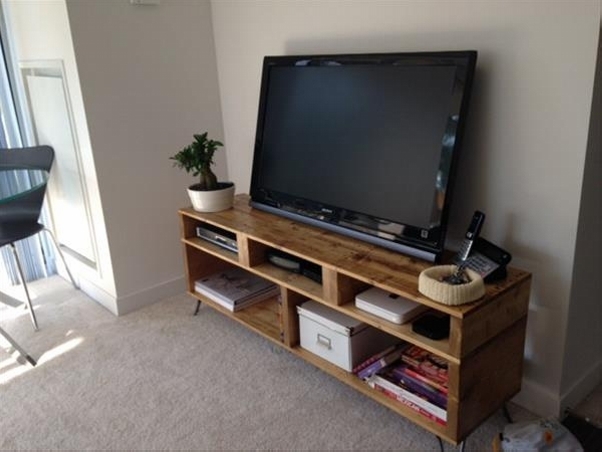 You can change the size and shape of your medial console table by taking inspiration from other pallet furniture projects. It offers lots of space when it comes to its two shelves with a divider which can be cut out for one big shelf and two drawers. Table top area can be varied to increase usability. The final product can be hand sanded to get a rusty look or you can choose different colors of wooden paint after applying wood protection coating.